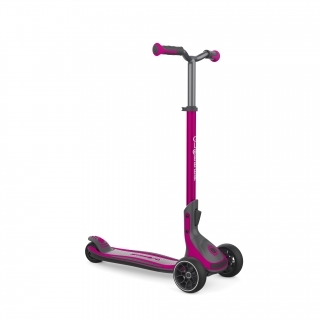 First-ever scooter with patented adjustable steering angle control system. 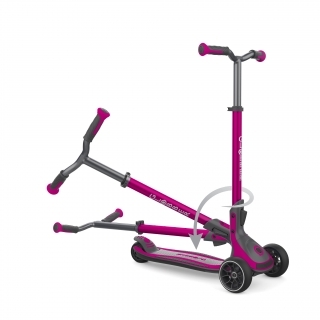 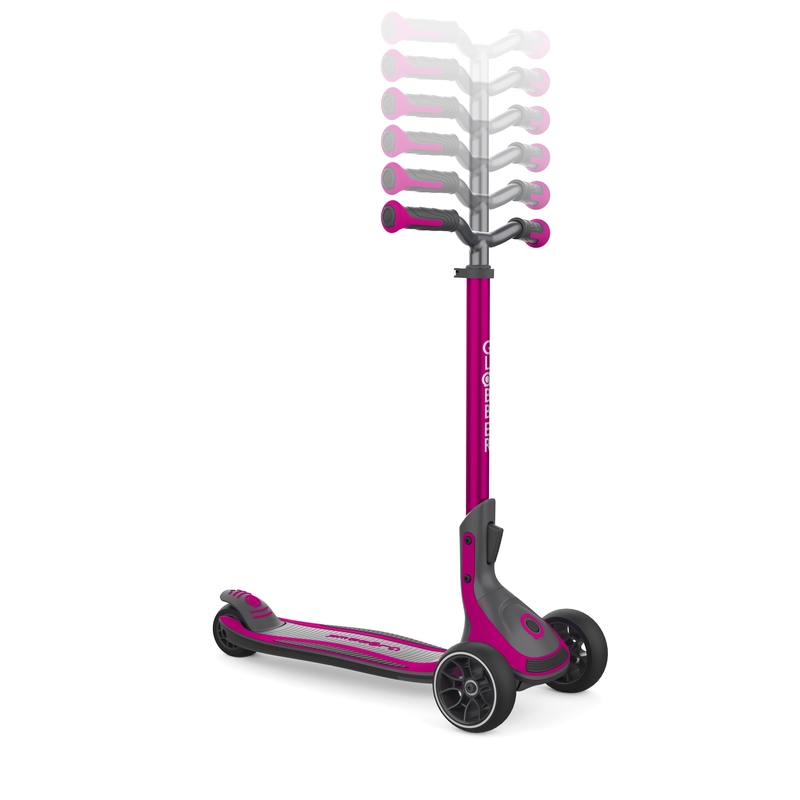 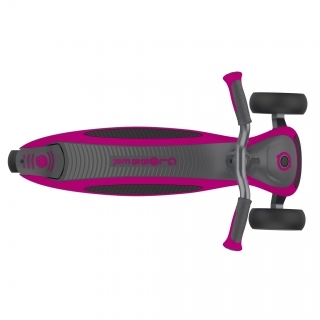 Folding scooter with patented elliptic system; trolley mode compatible to be easy to carry. 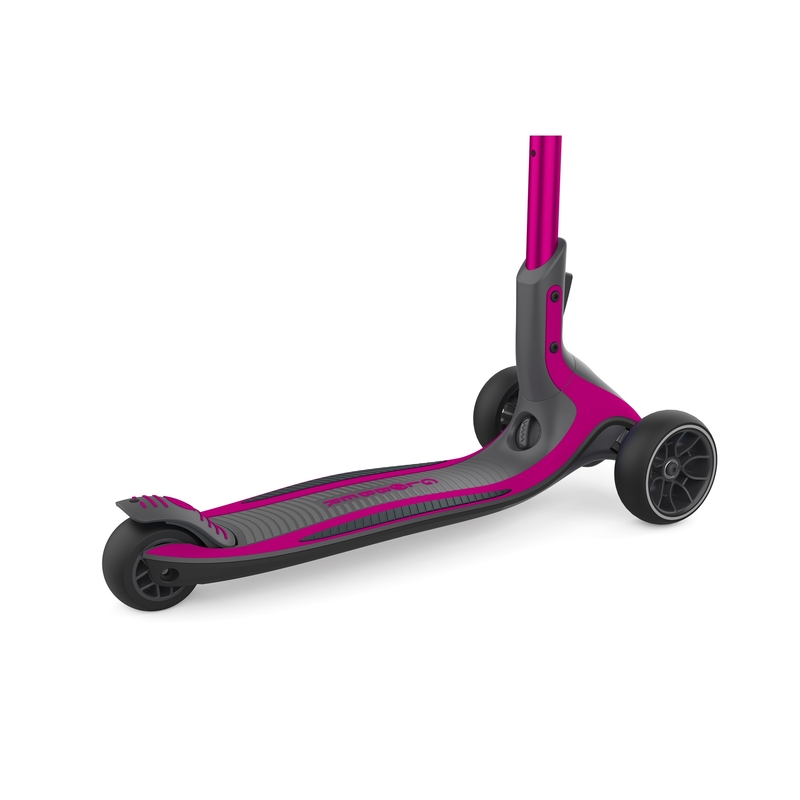 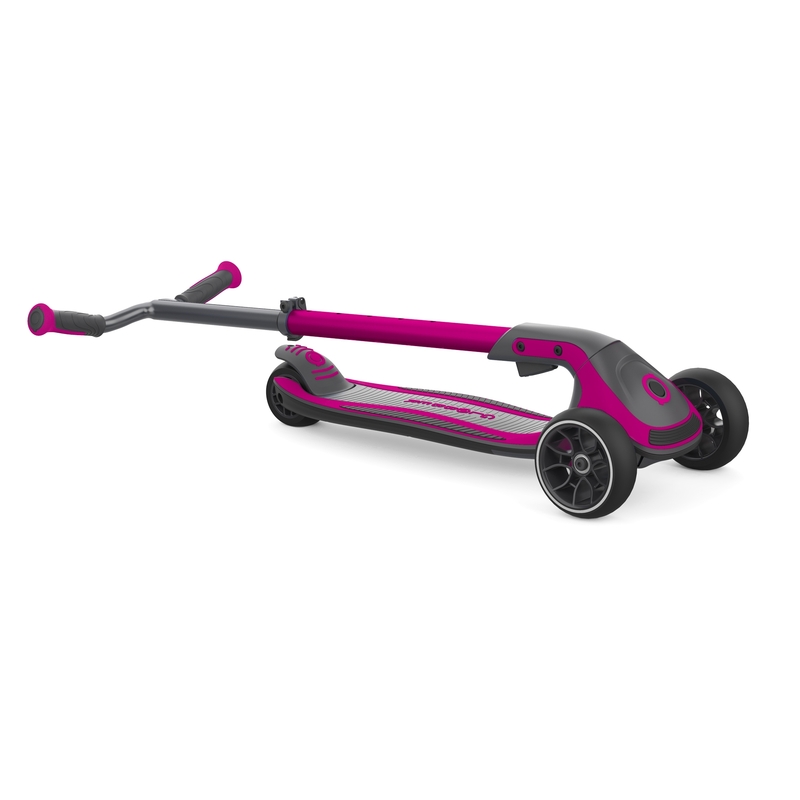 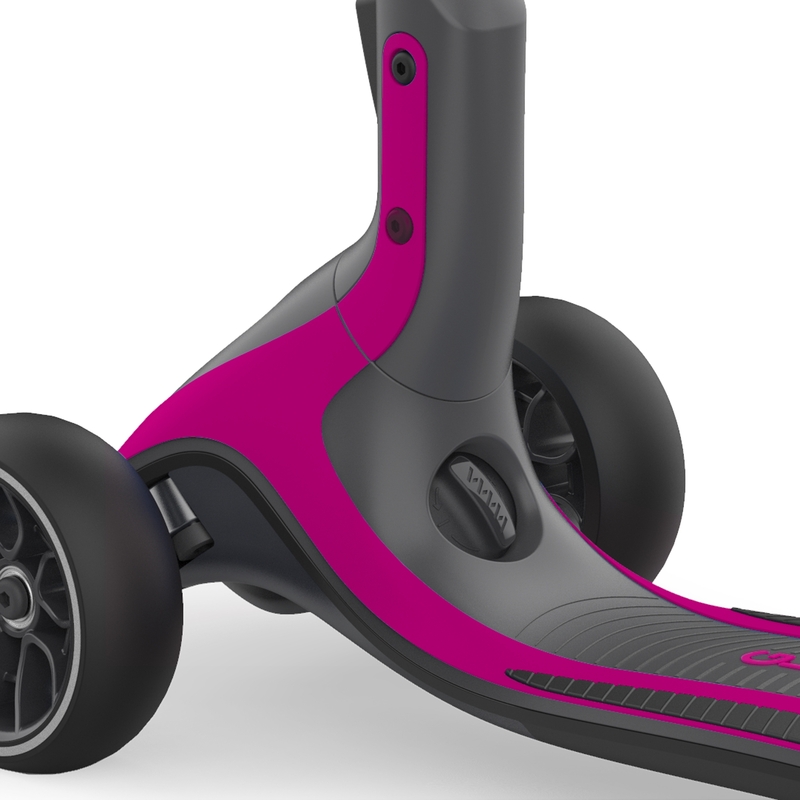 High-performance 3-wheel scooter with a 6-height adjustable T-bar, big wheels (front 125mm diametre x 43mm wide) and wide scooter deck supporting up to 100kg.